Bought this 2007 Salsa El Mariachi 29er hardtail from the owner who owned it brand new 8 years ago. This made in USA steel frame only available approximately 300 pieces worldwide. In Singapore, less than 10 pieces. Components: True tempered XO Platinum tubing with matching suspension corrected rigid fork. 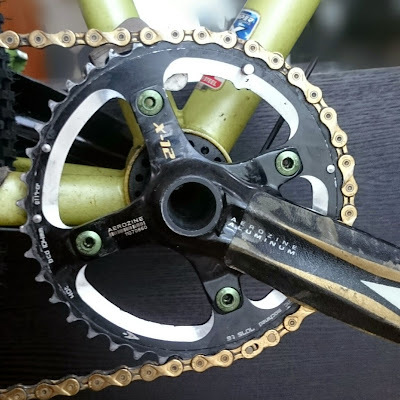 Sram X9 1x9 drivetrain (Aerozine 40t single crankset, PG970 11-26 cassette, gold SL chain, 9spd gripshift). Avid BB7 disc brake. Thomson stem. DT Swiss X470 disc wheel set, XT hubs, with Geax Saguaro 29" 2.2 all-mountain tyres. 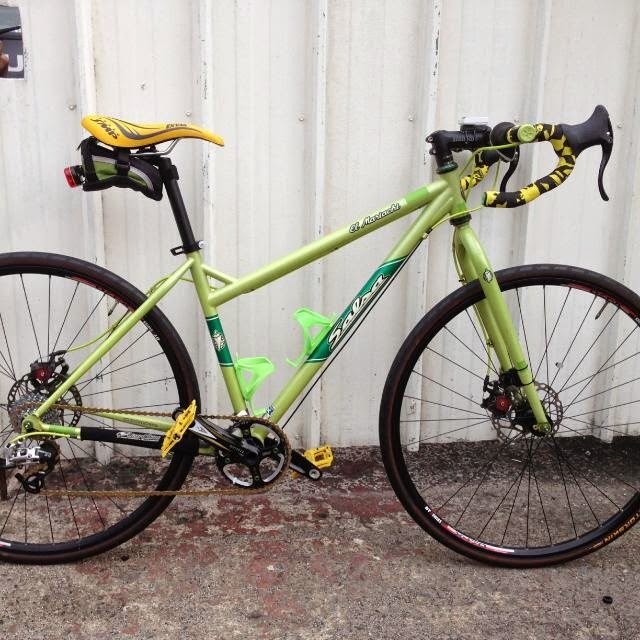 The ex-owner converted this rig into road bike with drop bar and road tyres. On the same day I bought this gem, I converted it back to its formal glory with my spare components that had been sleeping in my storeroom for ages (Refer to first photo). The original setup by the ex-owner was On-one 100mm stem. 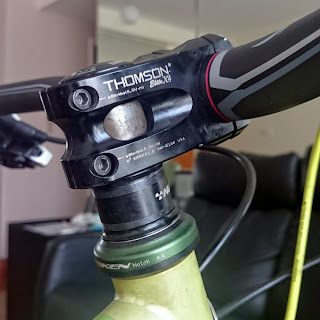 I replaced it with my spare Thomson 50mm stem. The original bar was cut to attach drop bar for road ride. I replaced it with a new Pivot 740mm carbon bar that came with my Pivot Mach6 (bought Enve bar for my Pivot Mach 6 instead). This 2007 Salsa El Mariachi came with the reliable Sram X9 rear derailleur. Excellent condition, as good as new. This Aerozine X-12 MTB crankset with 40T single chainring come originally with the El Mariachi. 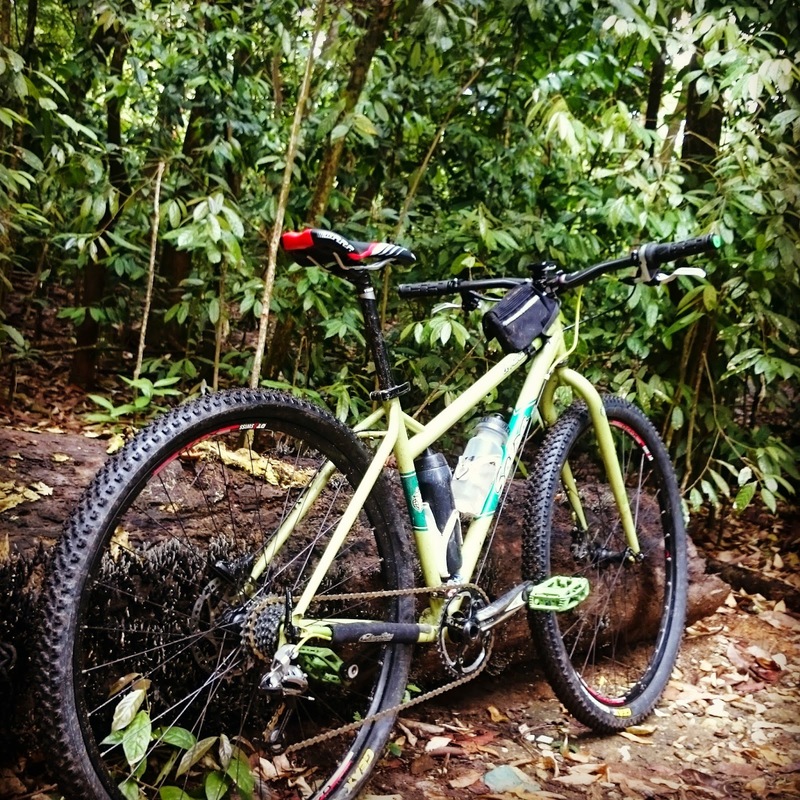 The 40T ring might be too big for trail ride at Bukit Timah and Ketam MTB trails, as some sections of the climb can be very steep. 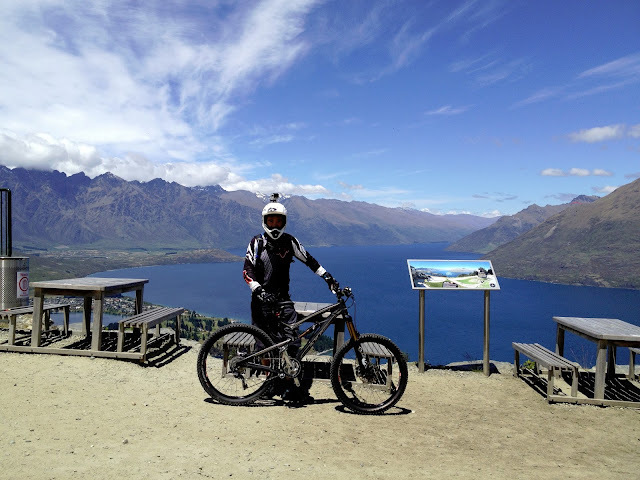 Did a off-road test ride at T15, experienced chain drop twice while going down rocky sections. Will replace it with absoluteBlack 34t oval ring in future. 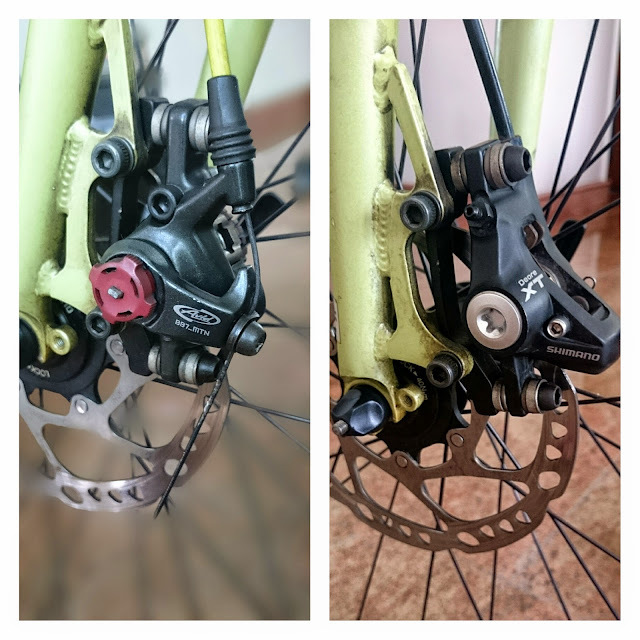 This Avid BB7 disc brake came originally with the EI Mariachi. The modulation and reliability are awesome. 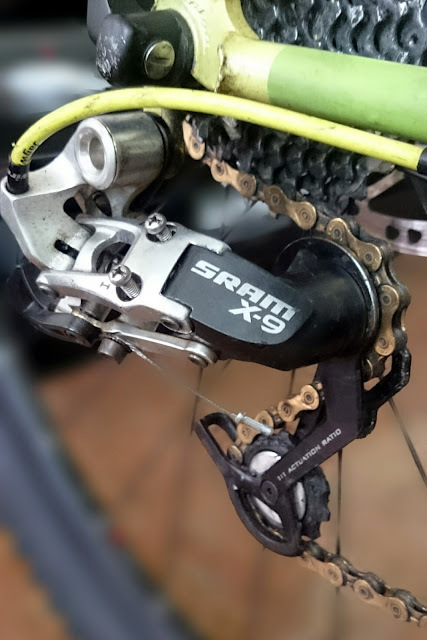 However, my hands were itchy and replaced it with Shimano XT hydraulic brakes that had been sleeping in my storeroom for ages. 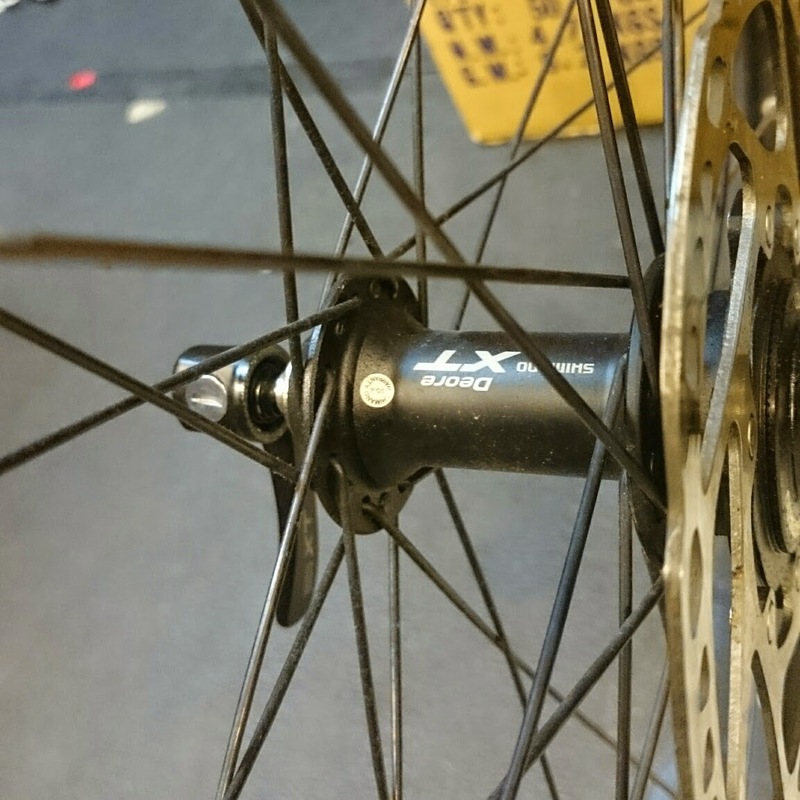 After all, the XT brakes fitted nicely on the Shimano rotors that come with the EI Mariachi. 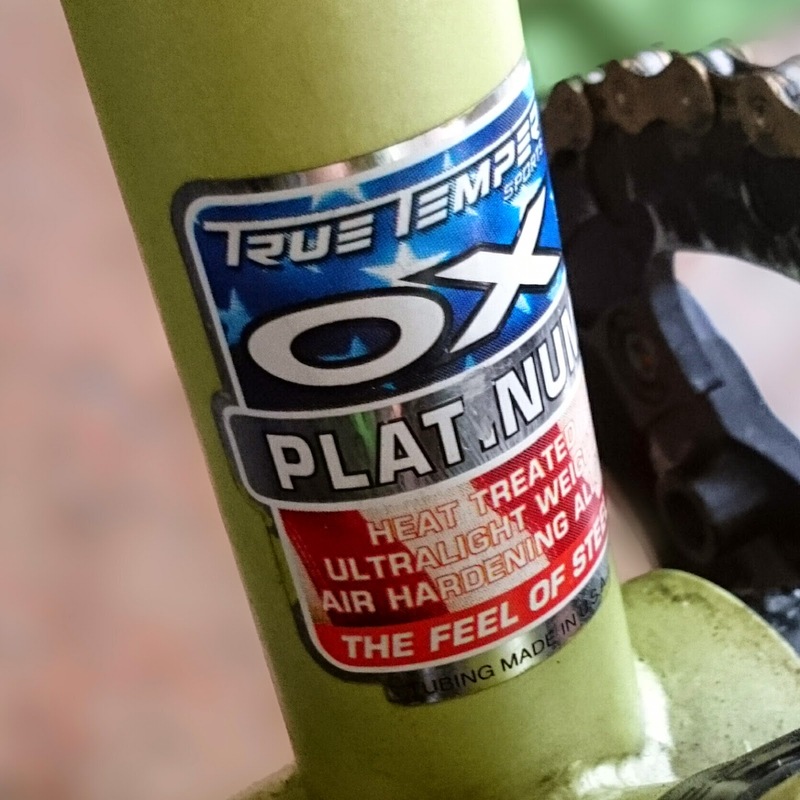 What can I say, reliable and value for money XT hubs. 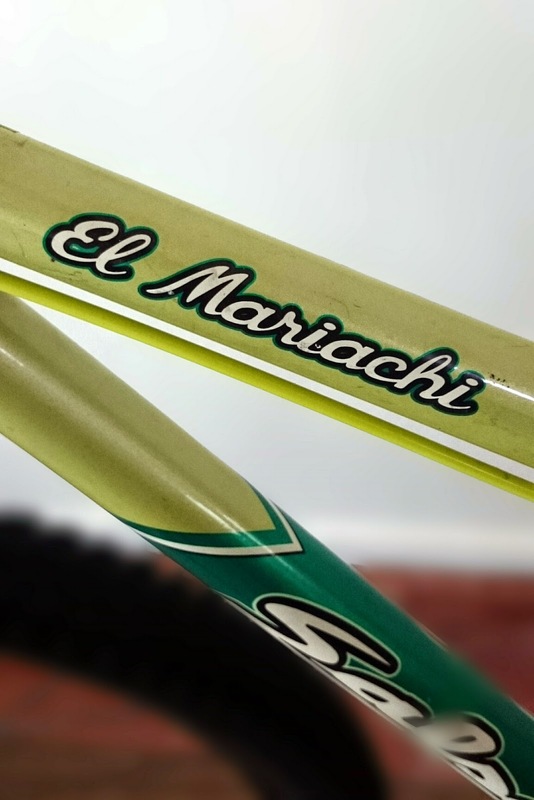 It came together with the EI Mariachi when I bought from the ex-owner. 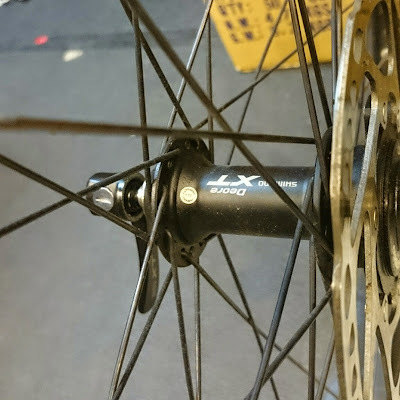 The DT Swiss X470 disc wheel set with XT hubs came together with the EI Mariachi. 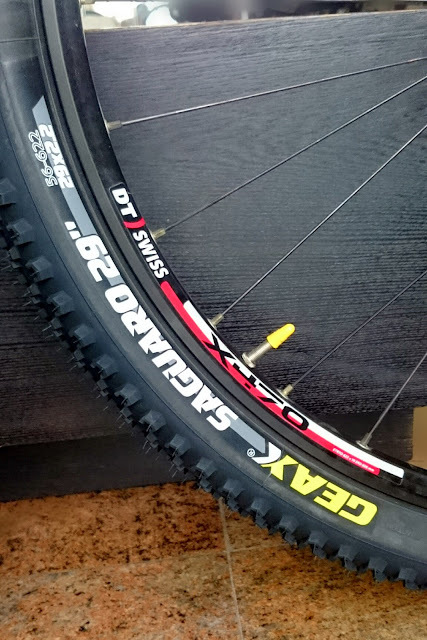 I replaced the road tyres with Geax Saguaro 29" 2.2 all-mountain tyres. These heavy tyres was designed for traction and grip, not a fast tyre. Did a off-road test ride at T15, the tyres failed miserably. It happened when I bombed down one short rock section, and did the usual unweight and push. 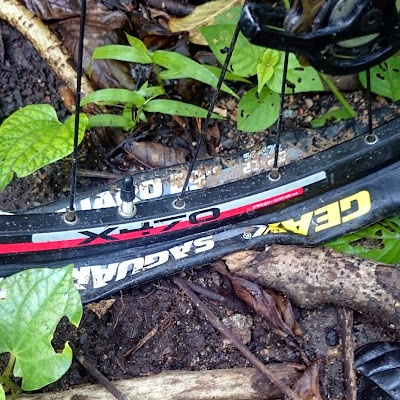 The rear tyre just explored. Maybe the force onto the tyre was proven too great, especially the lack of suspension to divert the pressure. Will convert the wheels to tubeless and replace the tyres with Maxxis Ikon 29er 3C eXC tubeless ready tyres.